Bottled water: You’d think the market was saturated <he he, saturated! !> and there would be no room for a new brand of water - but no. Drench was launched in 2011 with this rather fab advert. Loo roll: Cushelle spent millions on a new ad campaign for their toilet rolls. Supermarkets: On one road in my city there are 3 brand new, big named supermarkets all within easy walking distance of each other. The most recent wasn't deterred from the huge cost of demolishing an old building, then building and running a new supermarket by the fact there were 2 rivals literally on their doorstep. They have experts that cost all this out, have projected profits, know it’s the right place to be. So why would they do that? Allison Puryear says in her post on Psych Central: '...You know how Starbucks seems to sprout up across the street from your locally owned coffee shop? They’re doing it because the local coffee shop is proving that that location works. Good point. So if there isn't a market for coffee shops, they would all go bust. 'Often these complaints are made out of frustration that we’re not able to get people’s attention, and that our marketing efforts aren’t working. 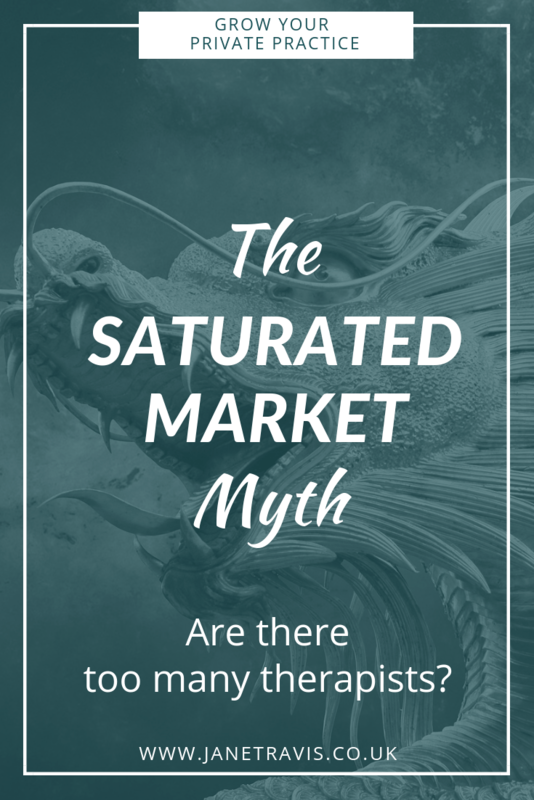 The trick is to accept that it's busy out there, and if you want your corner of the market, you have to carve out your place. Claim it and own it. Imagine there are 5 therapists in your area. This means 5 therapists are all talking about the benefits of therapy, blogging, marketing, using social media, networking, being visible, letting people know therapy will help. They raise the profile of therapy - not to mention the word of mouth from people that have had positive therapy experiences. Therefore more people are aware that therapy helps and are more likely to access it. You all stand to win. It also means if they aren't doing those things and you are, you will stand out, be more visible, connect with people and attract more clients and referrals. So let people know you’re there and what you offer, because you'll be offering something different to the others. Get clear on your niche, use your website and marketing to convey this so they connect with you. And allow your personality to show. For example, I know lots of therapists that offer counselling for anxiety, and they are all different - different personalities, different experiences, different ways of practicing, different qualifications, different modalities. They all help their clients, just in slightly different ways. So just like some people are drawn to one coffee shop over another, clients will be drawn to one therapist over another. In counselling, relationship is key and that’s true for all modalities. That's why that initial first session is so important, so they can see if you're a good fit. 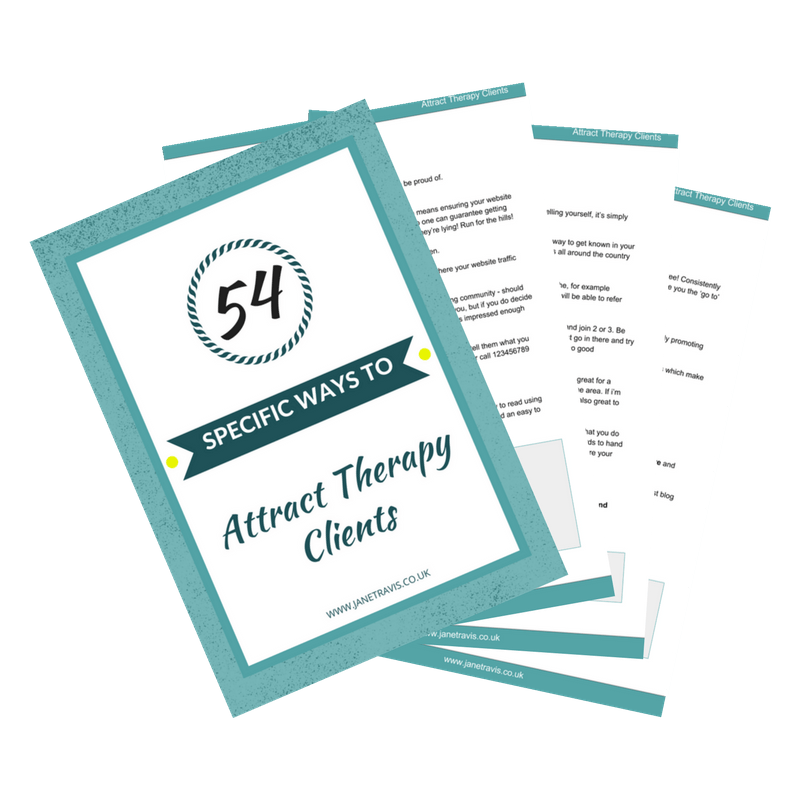 Allowing clients to get a sense of you will save time for both you and them. Let people know you’re there, be your lovely self and people will be drawn to you. 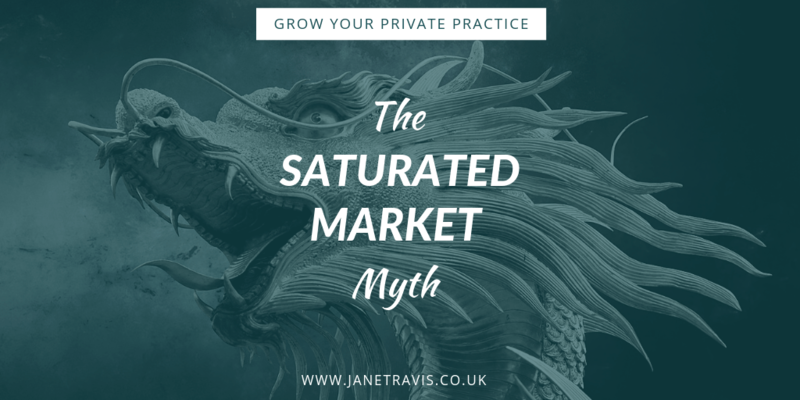 It's time to dispel the saturated market myth and slay the 'too many therapists' dragon - there is enough work for everyone out there, so let potential clients know who you are and what you do. And if you need help with that, come join the free Facebook group.